New Brunswick is one of Canada’s Maritime Provinces. To the west, the province also borders the U.S. state of Maine. 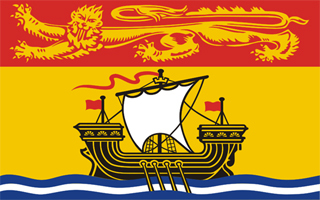 The provincial capital of New Brunswick is the centrally-located Fredericton. Its other major city, further to the south, is Saint John. As in other Canadian provinces, drug addiction can be a problem in New Brunswick, particularly among the province’s youth. Currently, young Canadians who abuse drugs appear to prefer marijuana and the stimulants mescaline and amphetamines. They may also use other types of drugs, however, including narcotic painkillers, ecstasy (MDMA), and even cocaine. Use of intravenous drugs is on the rise, as well. Saint John is the largest city in New Brunswick. The greater metropolitan area is home to about 120,000 people. 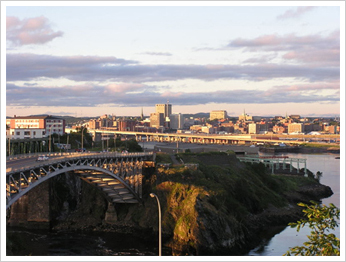 Saint John is also the oldest incorporated city in Canada. Addiction to opiates, which includes morphine as well as the brand name drugs Dilaudid, Oxycontin, Oxycodone, Codeine, and Demerol is a drug problem that is plaguing the otherwise quiet city of Saint John. In fact, the Saint John police force is calling for an expansion of the city’s methadone treatment program, as methadone treatment targets opiate addicts. The police point out that, in the city, about 75% of crime is related to drugs, and particularity opiate drugs. Most of the robberies, assaults, and break-and-enters that occur in Saint John happen in the southern portion of the city, which is known to be populated with drug addicts. As the methadone program currently stands, addicts must wait up to a year for addiction and recovery treatment, which the police consider unacceptable. Treatment and addiction and recovery programs should be more readily available, they argue. Sobriety Home offers residential treatment for addiction to drugs and alcohol in the comfortable healing atmosphere of a well appointed country inn. Located a short drive from Ottawa, clients can benefit from the Aftercare program once they complete their residential treatment. The Aftercare program ensures they receive the help and support they need to remain clean and sober after they complete their residential care. Fredericton is the capital of New Brunswick. The Greater Fredericton area is home to about 85,000 people. Drug-fueled robberies are on the rise in the city. Recently, the Fredericton police department praised a new Canadian government targeting parents of children aged 13 to 15, the program's initiative is to encourage parents to educate their children of the risks of drug use. To help manage drug addiction problems in Fredericton, Narcotics Anonymous holds regular meetings. Sobriety Home works with local drug addiction support groups like Narcotics Anonymous across Canada to help clients remain clean and sober after leaving the residential addiction treatment facility.